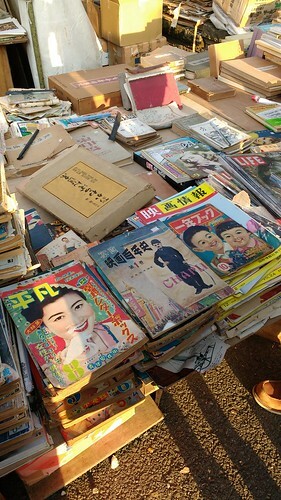 One of the things I picked up during my trip to Tokyo that I wanted to share with readers is a Japanese film magazine from 1965 called Eiga Story, found at a flea market table in Ueno Park amidst tons of other old film magazines and comics. 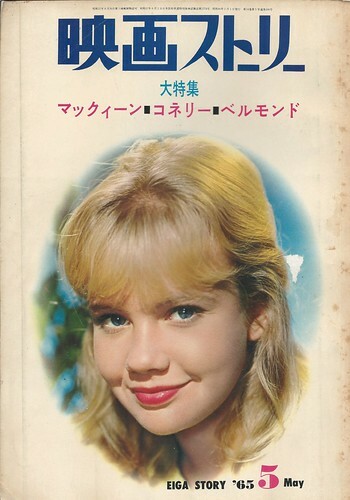 On the cover is a photo of Hayley Mills, who’d been a child star in Disney movies (e.g. POLLYANNA and THE PARENT TRAP), and had finally graduated to teenage roles at the time, getting her first screen kiss that year in THE TRUTH ABOUT SPRING. I opened the magazine on the spot and was happy to see excellent-looking color spreads devoted to popular Hollywood films and stars of the time with b&w entries devoted to numerous releases in Japan of Hollywood and European films. Since I was going to films regularly in 1965 and had even seen some of these films during their initial release, I was curious to see what Hollywood films got the most hype during their release in Japan.